It's PINK SATURDAY with Beverly again! Last year I took sailing lessons and just loved it! 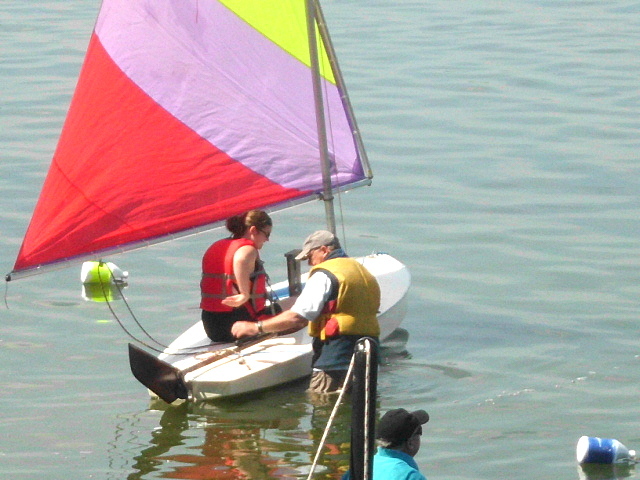 My friend John was one of the instructors this year (in photo with student Kait (who is visiting for the summer with Grandma and lives in Alaska) and I went every day for the last two weeks and watched but also got to sail a couple of times. We live in the Beautiful Fingerlakes area of NYS. 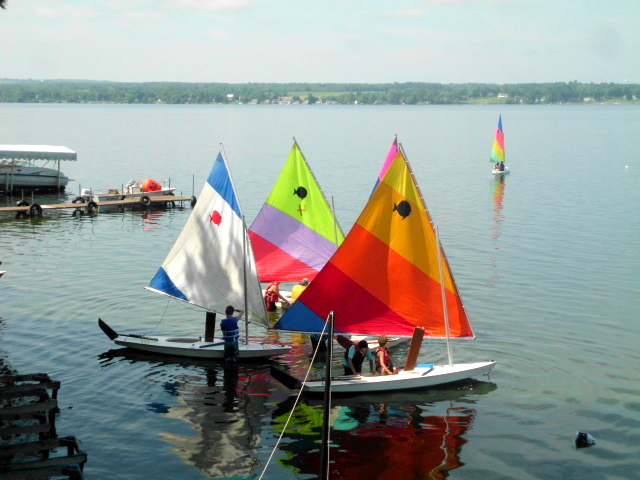 Auburn is at the foot of Owasco Lake and just a wonderful area to live in. Here are the students ranging from 9-15yrs. 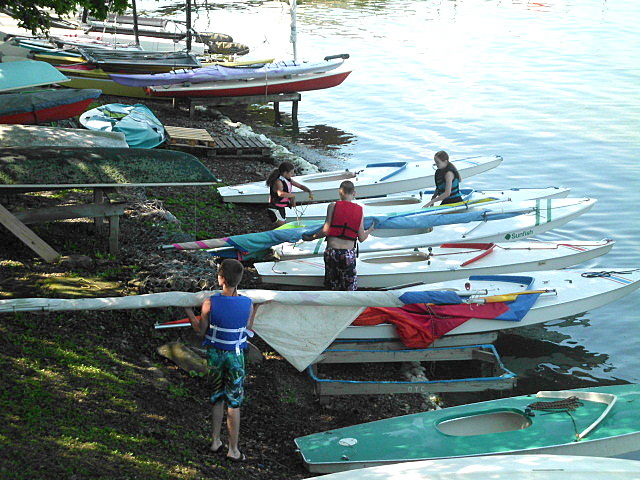 listening to instructions before rigging their boats and sailing away. 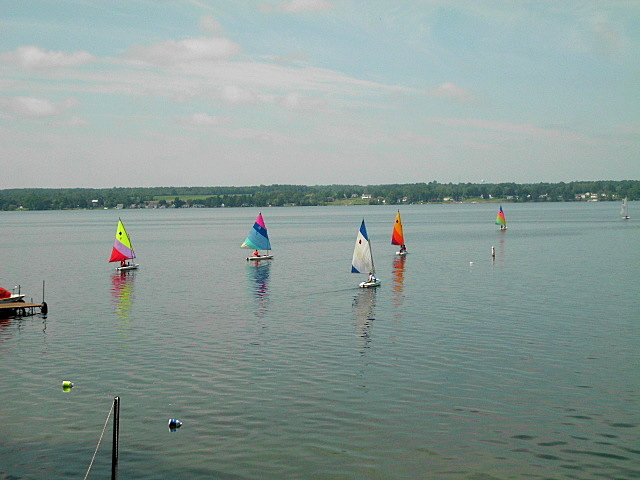 The sailboats are so beautiful and look like butterflies on the lake. 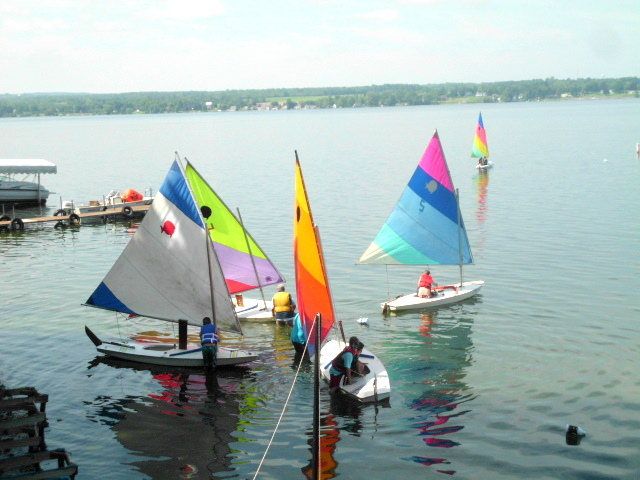 The kids all love sailing and are so attentive and willing to learn. The instructors all love working with kids and the fee is very reasonable at $20.00 per week per child which covers the cost of their Pizza Party on the last day and supplies. 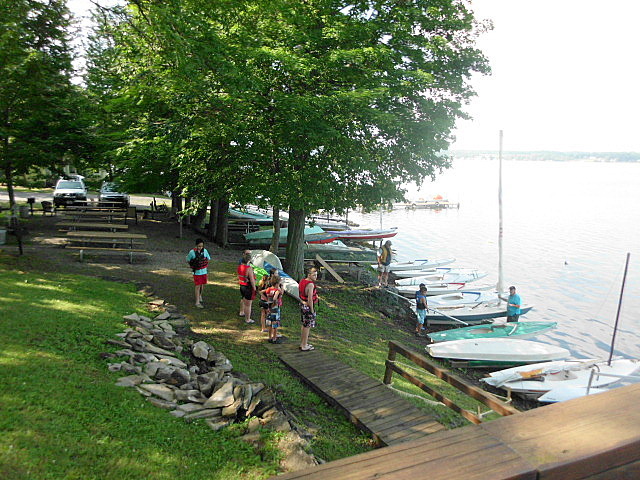 The kids actually take a boat out by themselves at the end of the first week! Some kids come back every year. They also learn how to tie nautical knots, discipline and teamwork. I cannot say enough about this wonderful program put on by Owasco Yacht Club. Thanks to all instructors and their wives who participate in this program and give of their time! I would never do that. I have a fear of water. Do not know why. It looks like a lot of fun tho. Kerrie, I am so glad you joined us for Pink Saturday. I have had you on my mind, and wondered how you were. My mother has dementia, and we can't leave her alone. Times are kind of tough right now. A neat post. Wish I lived closer! Love your comments about the boats looking like butterflies.